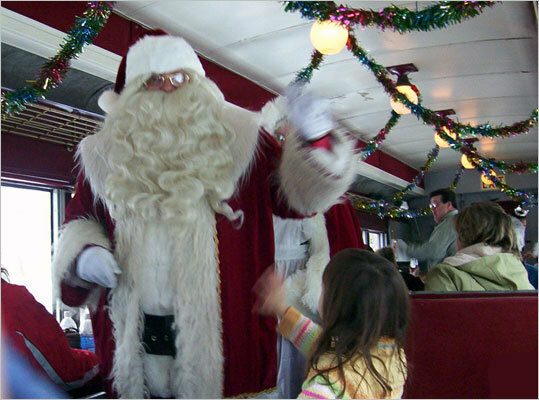 Santa Trains on the Hobo Railroad, Dec. 4-5, 11-12, and 18-19, Lincoln, 603-745-2135, www.santatrains.com. Santa and his elves offer gifts and refreshments to all on board. $15-$18 per person, children under 2 free.